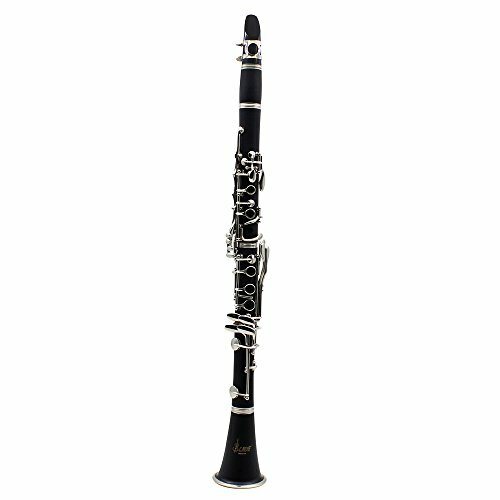 Made of ABS, B flat clarinet with 17 key. The keys are made of cupronickel plated nickel. Come with a padded box and a piece of strap for protecting instrument and easy storage. Supplied 10 pieces of reed, a reed case, a pair of white gloves, two pieces of cleaning cloth and a screwdriver.